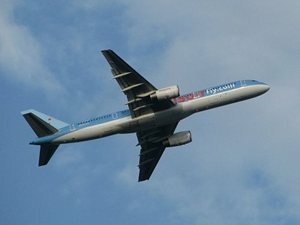 Compare prices for Car Hire in Greece with Car Hire Planet for the best car rental deals online! Greece is in Southern Europe and shares its borders with Albania and Macedonia as well as Bulgaria and Turkey. 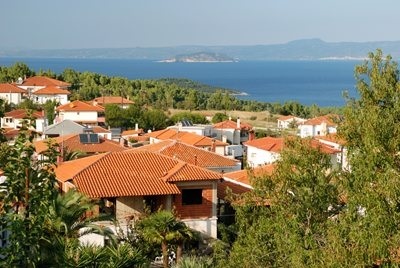 It sits next to the Aegean, Ionian and also the Mediterranean Seas. It is famous for its ancient culture and influence on the western civilisation. Greece is one of the most popular tourist destinations in the world not just for the beaches, but the sunny weather and historical sites too. With its iconic capital city of Athens and the mainland and thousands of beautiful islands to explore, you can never fail to be impressed by this country. 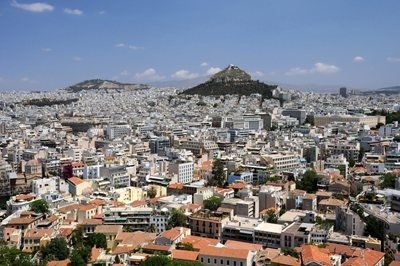 The first thing you think of, when you think of Greece is Athens and its ancient Acropolis although there are many more things to see in the city, including the old part of town, Plaka. 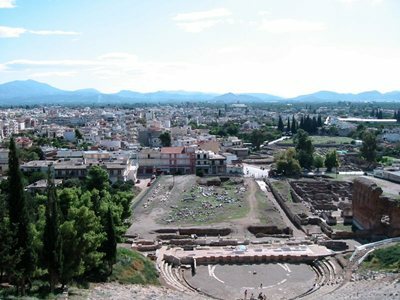 On the mainland there is much to see including the White Tower and promenade at Thessaloniki and the ancient theatre and ruins at Larissa. You can see monasteries cut into the rock-face at Meteora and the holy mountain of Mount Athos. Explore the Vikos Gorge and Vikos National Park and Mount Olympus too. Take a drive out with your car hire Greece to really discover the region and don’t miss the ruins at Delphi, famous for its oracle and Temple of Apollo. From the mainland to the Peloponnese you have the stunning Gulf of Corinth and the Charilaos Trikoupis Bridge that connects the two. Two of the most visited towns in the Peloponnese are Patra and Nafplion and don’t miss the Dirou Caves. The Greek Islands are best known for their beaches and picturesque nature, however each island has its own distinct feel. Santorini is famous for its pretty whitewashed houses and blue roofed churches as well as the volcanic black sands. Mykonos is nicknamed ‘little Venice’ and is considered to be a sophisticated party island. In Corfu, you will see the influences left previous invaders and a mix of French and Italian architecture -although it is mostly known for its beaches and night life. Rhodes is very historical, with the Acropolis at Lindos and the medieval Rhodes Town. If you visit Crete, not only are there great beaches and a national park but also many ancient sites such as the Palace of Knossos. Zakynthos remains to be a popular tourist destination because of its beaches and nightlife but is also home to a marine park and nesting loggerhead turtles. 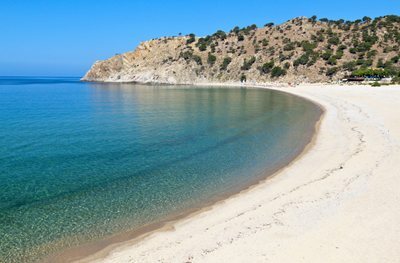 Kos and Skiathos are two of the smaller islands and are ideal for a relaxing beach holiday. 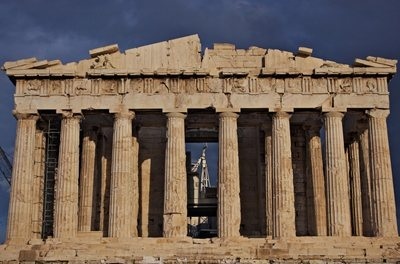 Athens is capital of Greece and seen to be the birthplace of western civilisation. 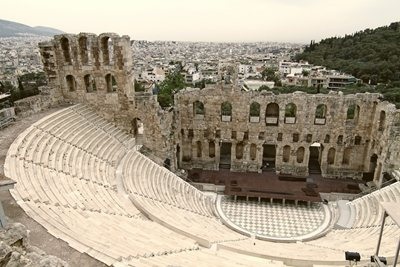 It is mostly known for the Acropolis and Parthenon as well as the Temple of Athena and Odeon of Herodes Atticus. You can find out more about ancient Greece at the Acropolis Museum and the National Archaeological Museum. In the centre of the city, you will find Syntagma Square where you can see the old Royal Palace and watch the changing of the guard. 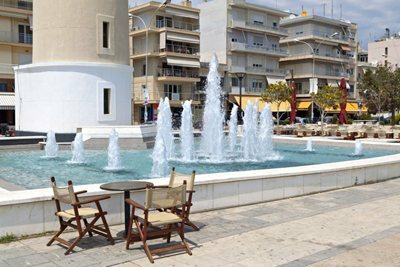 Take a walk around the old streets of Plaka or shop in the modern Kolonaki area. With your car hire Athens, you can drive out to the port of Athens at Piraeus.